Foodies and food-related businesses in Bury St Edmunds are being encouraged to share the best tasty treats in the town this month by highlighting them on social media with the hashtag TasteBury. 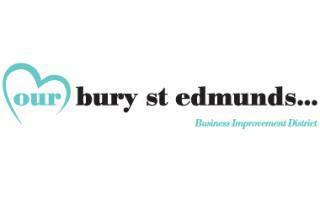 The initiative, run by the Business Improvement District organisation Ourburystedmunds, is in its third year showcasing the extent of the food and drink offering in the town centre. Cafés, bars and restaurants will be helped to promote their menus, events and offers during this month within special pages on Ourburystedmunds.com. Chief Executive of Ourburystedmunds Mark Cordell said: “In the last year alone we have seen new food and drink outlets in the town centre opening, as well as the more established remaining firm favourites with their customers, so there should be lots to talk about on social media. I’m hoping that most of them will participate by letting us know if they launch a new menu, hold a special event or have an offer on during February. With Valentine’s Day just around the corner and those who’ve been cutting back during January allowing themselves a few treats again, I’m looking forward to seeing lots of posts about romantic meals or special gifts. The virtual food festival will run until the end of the month. To find out more visit the website here. Offering new & used vehicles, servicing and parts, with quality customer service, all your motoring needs will be satisfied.